"Officer Whitten was working he met a pregnant woman needing help. 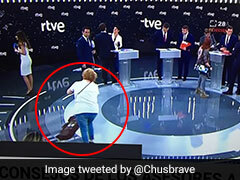 She didn't ask for assistance the way a typical call for service goes, she was looking for a home and a family for her unborn baby." Officer Whitten with the baby girl he adopted. 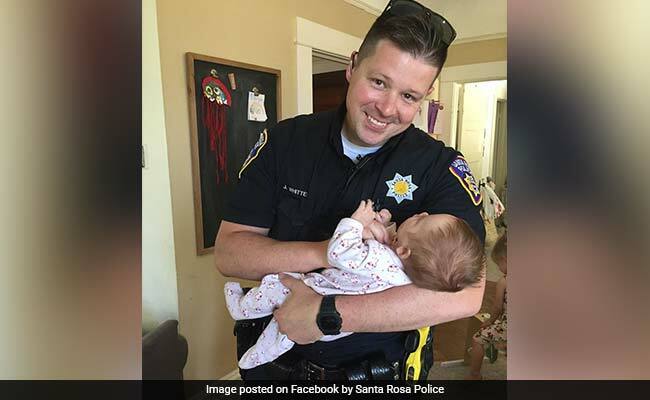 A California police officer has won love and goodwill from netizens for adopting the baby of a homeless woman battling drug addiction. Santa Rosa Police Officer Jesse Whitten would often check up on the pregnant, homeless woman while on patrol, reports CBS News. He never imagined that one day he would end up adopting her daughter. "Not long ago, while Officer Whitten was working he met a pregnant woman needing help. She didn't ask for assistance the way a typical call for service goes, she was looking for a home and a family for her unborn baby," said Santa Rosa Police Department in a Facebook post. It so happened that in August last year, Officer Whitten ran into the woman while he was with his wife, Ashley, and the two women spoke at length about motherhood and its challenges. In February this year, the couple received a call that would change their lives. It was the birth mother, who had specifically asked for Officer Whitten and his wife to adopt her daughter. According to the post by the Santa Rosa Police Department, the adoption process was completed last week after a "moving adoption hearing", and 6-month-old Harlow was officially welcomed into the Whitten family. Since being shared online on September 1, the heartwarming post has collected over 3,000 and hundreds of comments. "She couldn't have gone to a better home!" writes one commenter. "This is absolutely beautiful in so many ways," says another. Harlow Masie Whitten has blended in nicely with her three new sisters, reports CBS News.